If you play violin, viola, cello or double bass at Grade 3 standard or above and live or go to school in Lewisham (year 5 to 11) then come and join this exciting, brand new orchestra. 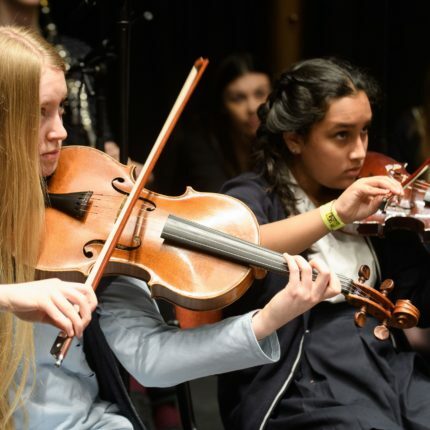 The orchestra will be led by experienced Lewisham Music string teachers and in the first year will be supported by players from the London Symphony Orchestra (LSO). There will be opportunities to play in performances organised by Lewisham Music throughout the year.